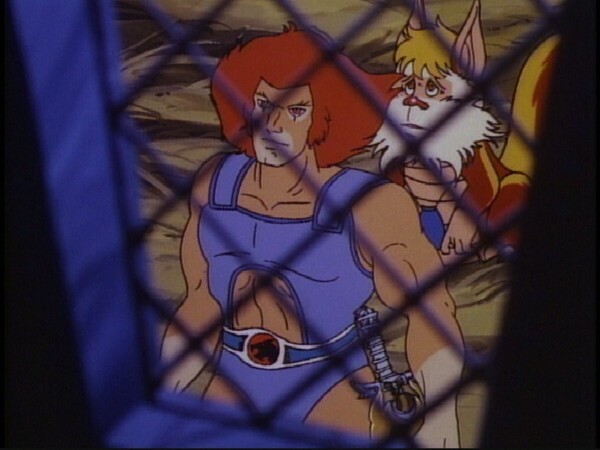 MANDORA of the interplanetary Control Force enlists LION-O and SNARF to pursue three criminals they unwittingly released from her cell sled. Rocketing through the sky on her Electra Charger space bike, they find PLUTAR in alliance with the LIVING OOZE. MANDORA zaps the prisoner and the OOZE with her enzyme gun. MANDORA’s Boomslang device catches the machine/man BURNOUT. The MUDHOGS imprison our group when they catch up with the last pickpocket QUICKPIC. LION-O regains the Eye of ThunDERa in time to summon [the other ThunderCats to] the cavern in the ThunderTank and scare off the MUDHOGS with blinding rays of light. Preservation of the world’s natural environment is a challenge to present and future generations. The prudent and judicious care taking of the earth’s resources against depletion by waste and mismanagement is a task in which we all share. In this allegorical episode, characters like the escaped criminals Plutar, Burnout, and Quickpic, and the ignorant Mudhogs symbolize the dangers of pollution, non-conservation of energy, and a mindless plundering and misuse of the earth’s resources. Such lack of concern for the environment has the potential to lead to an imbalance between mankind and the earth, which serves as our sustaining force. Respect for the environment is an essential concept to be conveyed to children in their socialization process. It would be fair to say that the work of writer William Overgard on ThunderCats is widely regarded as the weak point of the series. Overgard never really scaled the quality heights of other writers such as Leonard Starr or Peter Lawrence, and it would also be fair to say that he contributed most of the series’ more bizarre offerings. Perhaps his most noteworthy piece of writing was writing the Mutants and Luna-Taks out of the series (save for guest spots) in one hit, having them be captured by the wacky proprietor of a flying circus train! 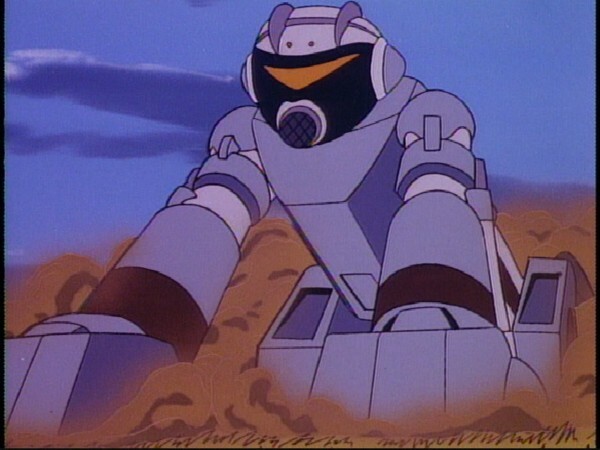 However, with so much focus on these more, shall we say, “unique” offerings, it’s easy to forget that Overgard did actually contribute some very strong and enjoyable episodes to the ThunderCats series, most of them situated in the first half of Season 1. This is the first script he penned for the series, and in my opinion it’s one of his strongest offerings. The primary strength of this episode is that it features the debut of its title character, Mandora the Evil Chaser. 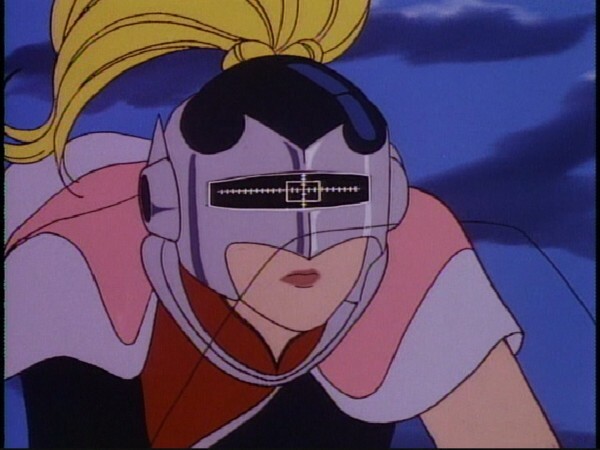 Mandora is one of the most memorable of ThunderCats‘ guest characters. A strong, feisty female law enforcer who talks tough to everyone (including, when she first meets them, Lion-O and Snarf! ), Mandora helps to expand the ThunderCats’ universe by bringing, for the first time since the pilot, an interplanetary element into the series. Mandora is not based on Third Earth, but instead travels the galaxy bringing evildoers to justice as part of the Interplanetary Control Force. 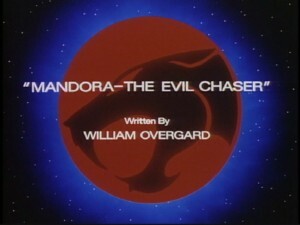 This really helps to bring a new dimension into the ThunderCats series, and is a theme touched upon by William Overgard in several of the episodes that he would pen—not just episodes spotlighting Mandora, but others such as “Sword in a Hole” and “Dr. 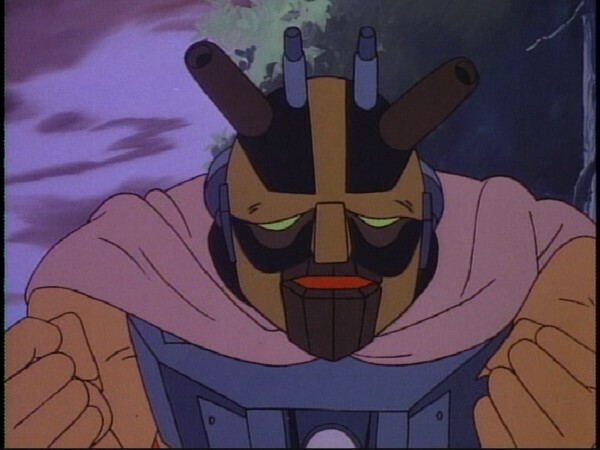 Dometone”, where (in contrast to this episode) the villains are based on planets other than Third Earth. 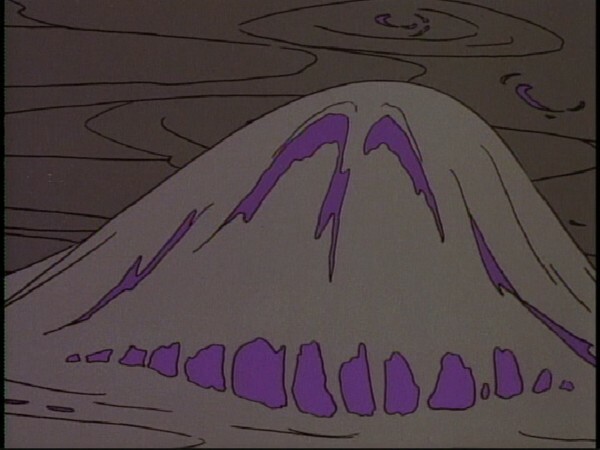 Indeed, it’s worth noting that, whilst not stated implicitly in the episode, the three villains recaptured by Mandora, Lion-O, and Snarf in this episode are not Third Earth-based either. This episode actually returns to a theme that, at this point, hasn’t been touched upon for a couple of episodes now, namely the continued growth and development of Lion-O. 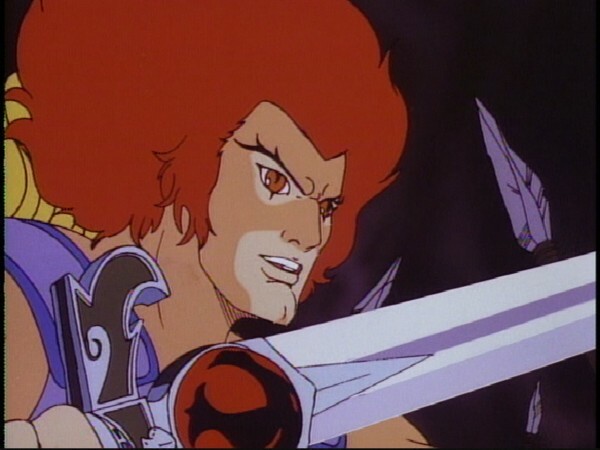 Whereas in previous episodes we’ve seen Lion-O mature into a levelheaded, adult Lord of the ThunderCats (save for the practical joke he played on Snarf at the start of “The Tower of Traps”! 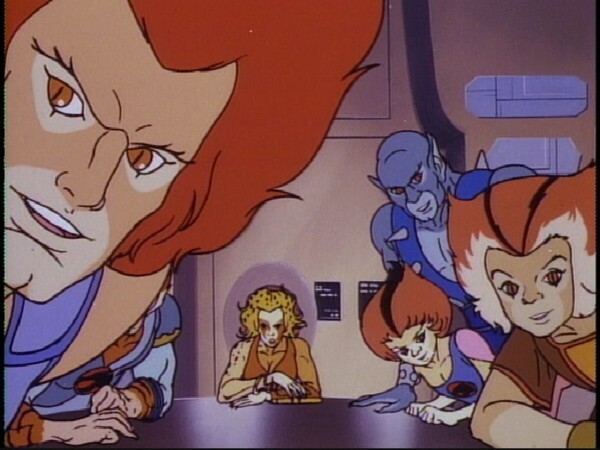 ), at the very start of this episode we see Lion-O make a substantive error of judgement because of his youthful curiosity by freeing Mandora’s three prisoners. 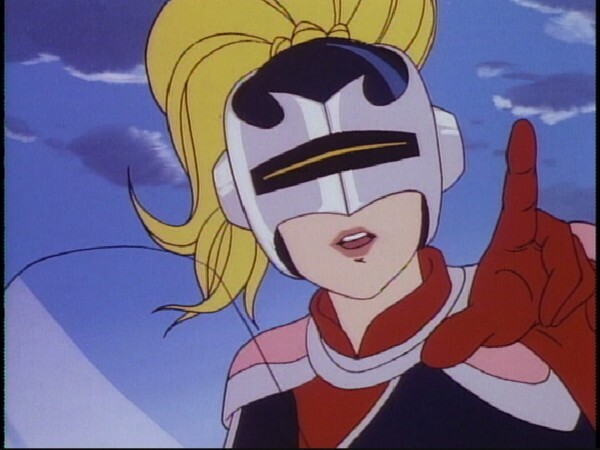 However, like Leonard Starr before him, William Overgard does an outstanding job of counterbalancing this immaturity of personality in the ThunderCats’ young leader by showing him rising to the task of assisting Mandora. Even though it could be argued that he has an ulterior motive for doing so (recovering the Sword of Omens), Lion-O’s enthusiasm for this task is evident. Whilst he has clearly moved on from the persona of overconfident young Lord (as shown in the series’ earliest episodes), nonetheless in this episode Lion-O still displays a slight youthful overconfidence, notably when piloting Mandora’s space bike! These scenes all show that the young hero still has much to learn, but that he is willing and able to do so. Whilst there are some slightly stronger ThunderCats episodes, this is nonetheless a highly enjoyable, memorable and unique episode with many great elements to recommend it. Brimming full of action and entertainment, this is another winner in the early days of Rankin/Bass’ ThunderCats animated series! 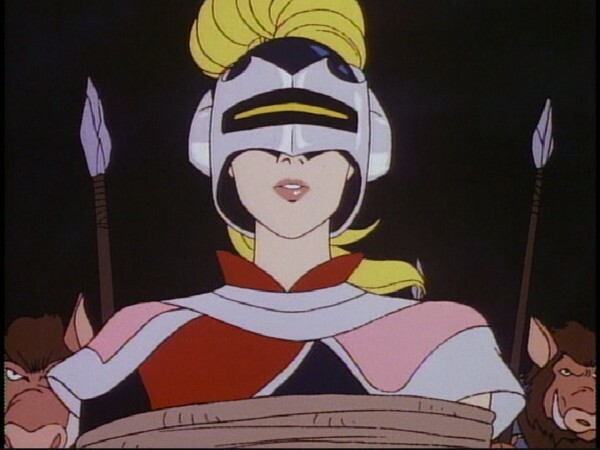 This episode introduces us to the character of Quickpic, one of the three villains hunted down by Lion-O, Snarf and Mandora. 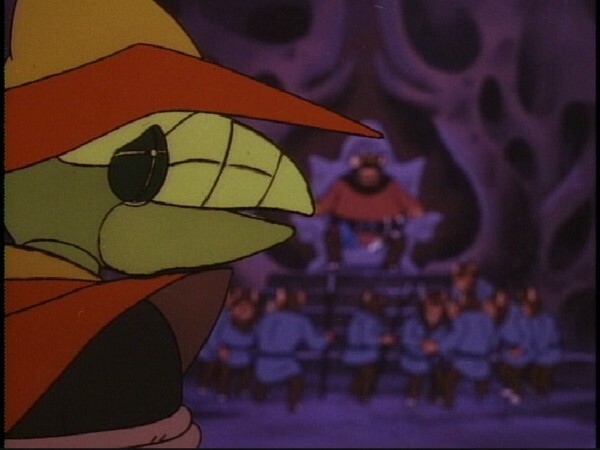 Quickpic would return as a reformed character in the episode “Mandora and the Pirates”, a rare example of a ThunderCats villain changing his ways! 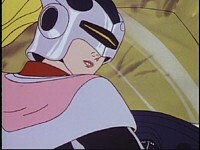 The episode was also penned by William Overgard and would also mark the second appearance of Mandora, thus making the episode something of a sequel to this one. Although in this episode Quickpic is shown to tip and raise his hat, we never actually see him fully remove it. 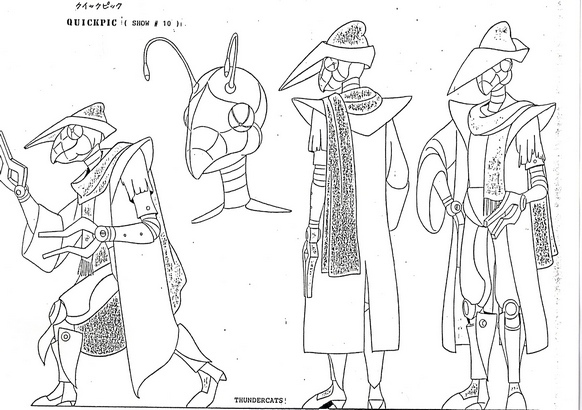 Nonetheless, an animators’ guide sheet for the character of Quickpic includes an illustration of him with his hat completely removed, revealing two antennae concealed beneath! This episode contains the series’ first-ever reference to Thunderian currency, specifically Snarf’s dismay at the theft of his coin purse containing a tricentennial Thundera half-dollar and his “lucky Jaga penny”. 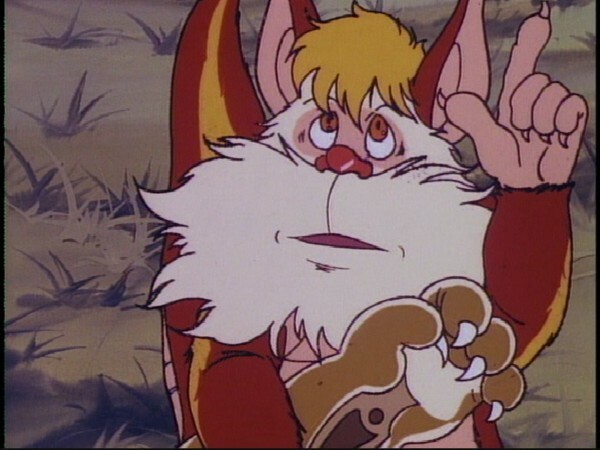 Of course, an element of this story that is unexplained is why Snarf is carrying his treasured coin purse through the middle of a field instead of leaving it safe inside Cats’ Lair! A line of dialogue spoken by Mandora in this episode refers to an ancient formula that used to be called “soap”. The reference to this everyday item as “ancient” serves as a reminder that the ThunderCats’ adventures on Third Earth are widely regarded as taking place on “our” Earth many centuries in the future. This episode is the first script in the ThunderCats series to be penned by writer and artist William T. Overgard. In addition to his work on ThunderCats, Overgard also penned screenplays for many films, had several novels published, and also worked as a comic artist. He sadly died in May 1990, aged 64.